Hi everyone my author and Stitch Says blogs now have a new home!!!! Here you can find everything. It’s still a working process, but all the blogs and comments are there. You can link to other social media and still enjoy my blogs! Thank you for joining me here – I look forward to seeing everyone commenting on my new site. As always have fun! When I was in high school, I found that writing was something I loved to do, and I was good at it. At the time, I was told that wasn’t a career option and went another way for a while. A few years ago, I rediscovered writing fiction and my dream was rekindled. The biggest impact has been trying to fit writing in around work, kids, and life. I now carry a notebook with me to write down ideas as they come and spend as much of my spare time as possible writing. It certainly is difficult to fit it all in…. I’m currently working on a chapter book that was written during the 2013 Chapter Book Challenge. It’s a story about a girl who just wants to fit in at a new school and is bullied. This is what she does about it. It’s a mix of my experiences and those of my now 10 year old son. The idea came to me when my son had an incident where he was being bullied and fought back by hitting the bully. He was punished and the bully wasn’t. He thought it was unfair. I used this as inspiration for the story and I’m sure it will resonate with kids. We’ve all been there, I can’t wait to see you get this book published. To write books that will be enjoyed by readers – both children and adults. So far, I’ve had eight stories published in three anthologies, and I’m hoping these are the first of many published works. I’m sure it will be the start of something big. My ideas come from all sorts of places. Some are based on my experiences as a child, some on my kids and the things they do. Others come from writing prompts or things that I’m interested in. Still others seem to come from nowhere! I’ve learned to never ignore an idea, no matter how weird it may be, and I have notebooks full of ideas for future stories. I write as often as I can. I take part in challenges and writing exercises to help improve my writing and develop some of the stories that are in my ideas books. I am also collecting and reading a number of craft books as I would love to attend writing conferences, however it’s not practical right now. There is only so much time in a day and too many other things that need to get done. With my kids books, a lot of my inspiration come from my kids and the sorts of stories I wish were around for them to read, or that I wish had been around when I was a kid. Wonderful blog – you should all check it out! What works best for you when writing? Meaning do you outline or write freely when you feel inspired to do so? I find that having a firm outline doesn’t work for me as I stress over it too much and then get worried if or when the story goes off course. I prefer having a rough outline, knowing how the story starts and where I want the story to end up, and write so the story will get there. Excellent to have some flexibility when planning a story. Thanks for joining us Melissa, we look forward to hearing more from you in the future. Remember everyone keep reading, keep writing! This is a great chapter books for boys (girls will also enjoy it). Charles and Hero the dragon fly into a rescue mission with a difference. They need to save a whole village. This story is engaging, has plenty of action and great characters. Everything you need in a good chapter book. Stitch Says gives it 5 woofs! In the mean time keep reading, keep writing! I love dog books, as do my kids. However they need to have more than just a dog. Like any children’s book they need a good, but simple story line. The Undercover Beagle has exactly that. It is simple, easy to read and lots of fun. The characters are cute and the farm setting can lead to many more adventures. This is great because I know my kids want to read more stories. 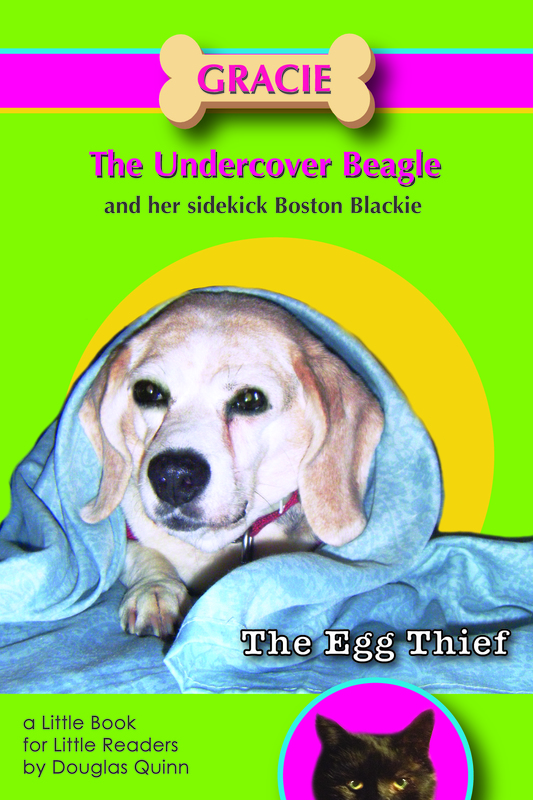 The Egg Thief is perfect for dog lovers who are beginning to read chapter books. More great interviews and reviews to come – keep reading, keep writing! I really didn’t just decide to become an author. It evolved out of a family history/genealogy project my dad and I worked on. We had so much interesting information and family stories to share, my dad and I decided to organize it all into something we could publish and share with others who were researching the same family. I love family stories. Once finished with the first two family history books, I began thinking about writing fiction. Naturally, my first novel idea came from another family story, an “almost” happening involving my children and a trip to Spain. As for an impact on my life, it has become all consuming. I live to write. As I mentioned, the idea for my first novel, a suspense/thriller titled The Catalan Gambit, came from an “almost” happening. Students, my boy and girl twins included, from the school system had signed up for a chaperoned trip to Spain. At that time, airplane hijackings had become a popular sport for terrorists. Because of this, the trip was cancelled. I began to think, what would happen if they’d gone on the trip and their plane was hijacked. As a father, what would I, what could I do to save them? My “tag” line was “How far would a father go to save his children.” I followed up with two more books in what I called The Ellis Family Saga. I enjoy mysteries, so for my Webb Sawyer Mysteries, I set these stories in the Outer Banks and Albemarle Sound areas of northeast North Carolina (USA) where I live. As they say, “write what you know,” and I love and know this area and its people quite well. For my Ancestry Series, I went back to the research done on my ancestors and, using the facts and stories my dad and I had collected to create a historical fiction/adventure-based novel of the original emigrant ancestor’s life. I just completed book two of the series based on his son. Books three and four are in the queue. When my two youngest grandsons asked me, why don’t you write children’s books (with them as the heroes, of course), I indulged them. It was easy to write in “their voice” as I used to have lunch in the school cafeteria with them and their friends once a week, where I opened discussions, listened and observed.. Now I have three different series going. My newest series, Little Books for Little Readers (written, illustrated and marketed for ages 4-6), are based on experience with our four-legged kids, our cats and dogs. Dogs make the best characters. 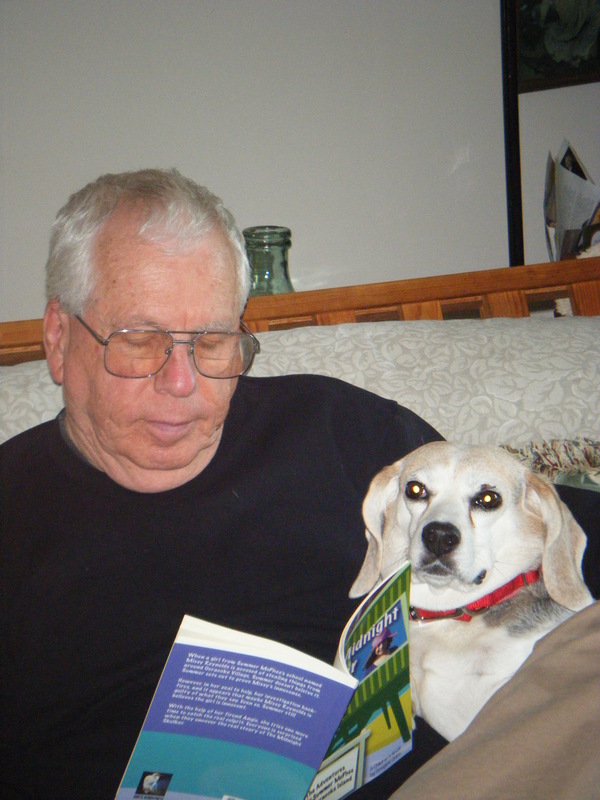 As an interesting note Beagles and Labradors seem to make great friends! Boy! Not sure where to start, because I work on several book projects at a time, one for each of my genres. I’ll give a brief answer for each one of them. I am currently writing my fourth Webb Sawyer Mystery. Each of the titles for this series have birds in the titles: Blue Heron Marsh, Pelican Point, Swan’s Landing and the latest, Egret’s Cove. In Egret’s Cove, my protagonist, Webb Sawyer, drives from his home at Blue Heron Marsh in Nags Head on the Outer Banks of North Carolina, to go fishing with his long-time grade-school friend who lives on Ocracoke Island. When he arrives she is nowhere to be found. Evidence indicates she’s been kidnapped. But how? And why? And where is she? And is she all right? There is no ransom note and Webb is frantic to find his friend before it’s too late. I just finished the second book of my Ancestry Series, Samuel The Pioneer. Samuel is the son of Cornelius The Orphan. As I mentioned before, these historical fiction/adventure novels are based on my own ancestors. 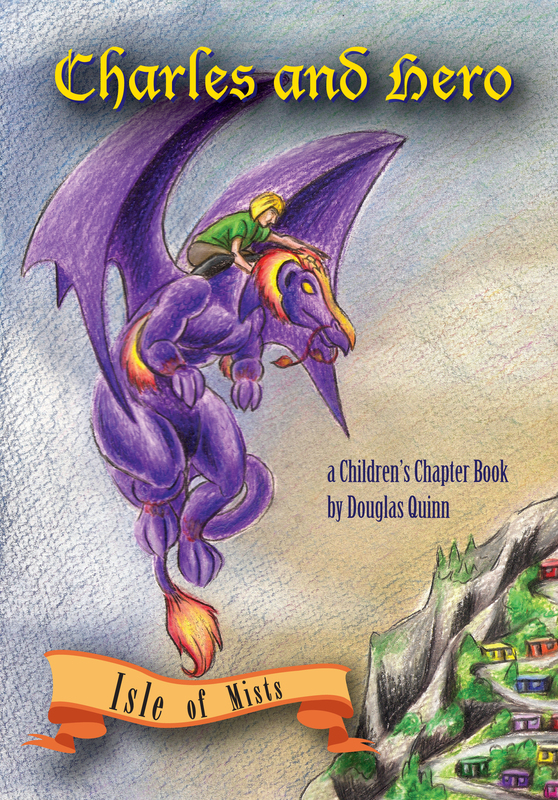 I have two more Children’s Chapter Book Series (for ages 8-12) that are completed and are in the editing process. One, The Adventures of Quinn Higgins: Boy Detective—The Case of the Gray Ghost’s Belt Buckle is the sixth Quinn Higgins book. The other one, The Adventures of Summer McPhee of Ocracoke Island—The Pink Lady is the third Summer McPhee book. I am also am over halfway finished (it will probably be completed when this interview runs) the third book in my Purple Dragon Fantasy Series, Charles and Hero—The Dreadmen. As I mentioned, I wrote these at the request of grandchildren, but now my readers motivate me to continue on with them. And, finally, I’ve completed my second Little Book for Little Readers titled Solstice the Determined Beagle—Long Way Home. This book is now with my illustrator, who is doing pen-and-ink drawings for the text chapters. This story comes from the time Solstice (now deceased) got lost in a storm ten miles from home and, over ten days, found her way back home. Wonderful a to do list that looks like mine… too many things to do! When people ask me what I do for fun, I tell them I write. “Writing seems like hard work,” they say. The hard work is the editing process. The writing, for me, is not only fun, but fulfilling. It gives me a sense of accomplishment to tell stories and share them with others. This, and a dedication to my characters, will keep me writing until, one day, I keel over, my fingers still on the keyboard. If I have the premonition, maybe I will quickly type in (to be continued by the next person). What do you do to improve yourself as a writer? I read, I research, I do crossword puzzles, I listen, I observe, I talk to people, ask questions, discuss ideas, but most of all I write, write, write, write . . . .
My website is http://www.obxwriter.webs.com, where you can find a listing of all of my books, novels and children’s book, included. Please feel free to join up and/or contact me through the site with your questions, comments, what you thought about my books, etc. I answer all queries. Tell us a little about your next work/s in progress. I always have several projects in progress. Readers, even other writers, ask me how is that possible. How can I concentrate on more than one book at a time. My answer is, I really don’t know. I think I’ve been gifted with the ability to compartmentalize information, work on it, store it, bring up something else, moving from one project to another without confusion. Holy-moley, I sound like a computer. Right now I’m only writing two books, Egret’s Cove: a Webb Sawyer Mystery and Charles and Hero–The Dreadmen. I’m also reading and researching for four other books. So many stories to tell, never enough time. We wish the best of luck with all your projects. Do you read the reviews of your work and how do they affect your writing? I always read the reviews of my work. Fortunately, the vase majority of them have been very positive. Reviewers bring their own likes, dislikes and prejudices to their assessment. One reviewer loves the detail and the descriptions of the settings and characters, another one says there is too much detail. Another reviewer feels the need to point out a misplaced a comma on page 212. Another one may claim there were inconsistencies with the capitalization of the word “mother,” even though they were incorrect and didn’t understand the rules. In the end, it doesn’t matter. Readers don’t really care about niggling and nitpicking. They want to know if the reviewer believes that story, the setting and the characters will grab them. Here’s my thought: If you get an unfavorable review, or the review has aspects that you dislike or don’t agree with, let it go. I’d rather have a review that I wasn’t pleased with than be ignored. I always figure if they took the time to review your work there is something worth while! Stitch Says has had the privilege of reading four of Douglas’ books and will be posting reviews over the coming week or two (that thing called life may get in the way!). So watch out for them. Thanks for joining us Douglas and remember keep reading, keep writing! I have wanted to be a writer ever since I was a child, but somewhere along the way, I lost the confidence to continue along that path. I managed to get my BA degree in English Literature and an AA degree in Child Development, but I stopped writing creatively for many years. Instead I concentrated on raising my children (all seven of them). Slowly over time, I gained a lot of weight. I was clinically described as morbidly obese. That may not seem to have anything to do with my writing, but when I started actively trying to lose the excess weight and become healthier, I decided to begin blogging about the journey on a blog called Skinny Dreaming. I was very successful with my weight loss, losing more than half my body weight and reaching a healthy BMI. This also increased my confidence in myself by showing me that I could achieve what some considered impossible if I was just willing to put in the hard work towards it. Through Skinny Dreaming, I was contacted by a start-up parenting magazine out in California that wanted me to be a regular writer for their monthly magazine on the topic of raising healthy children. I continued to write for the magazine for over a year. This added another cog in my self-confidence, especially in regards to my writing. Between the blog and writing for the magazine, I came to the realization that I still very much wanted to be an author. What an amazing journey – not to mention you did all that while raising seven children… The mind boggles! I have several projects on the go right now. I originally planned on writing the Skinny Dreaming book on health and fitness, but I have only managed to write the first few chapters and an outline for it. My true love is writing fiction, and I currently have one urban fantasy novel, one YA novelette (also urban fantasy), six picture books, a middle grade book and a chapter book in the editing stages. The current works I am writing at the moment are one chapter book titled “The Day My Shadow Tried to Kill Me” and one non-fiction book called “The 28-Day Fitness Challenge” based on a challenge I am running on the Skinny Dreaming blog. Gabby is just an ordinary girl living an ordinary life until one day, she isn’t. Magical things start happening around her, beginning with her shadow taking on a life of its own. Gabby would think this was cool, if it weren’t for the fact that her shadow was trying to kill her. Can Gabby stay alive long enough to figure out why these strange things are happening and how to stop her shadow? Wow that list is actually longer than mine, can’t wait to see them all completed! I plan on publishing my novels someday, when they are ready. I haven’t decided yet whether I will self-publish them or go the traditional route, although I will have to go the traditional route for my picture books as I am not an illustrator. I run my own Indie publishing company, Melusine Muse Press, that I have published some anthologies through, and I am hoping to expand the business model to begin bringing more authors’ works into the limelight, and I eventually hope to employ some illustrators. Having some illustrators would be fantastic, they are hard to find. Everything influences my writing and can bring me fresh ideas. My children are my biggest inspiration though. Aside from the ideas that come to me when I am with my children, ideas tend to come to me whenever it’s quiet. When I’m outside walking the dog or taking a relaxing bath, these are the moments when I have time to reflect and ideas will often light up in my mind. I also find that art and music have the tendency to inspire fresh ideas. Quiet moments are the best – just where to collect them. I think we should bottle them up and send them around when required! I read many books on the craft of writing. I read many books just for fun and enjoyment. I read blogs on the craft of writing. I write; I find that the more frequently I sit down to do some actual writing, the more my writing improves. My biggest downfall is my tendency to procrastinate. To that end, I started hosting the Chapter Book Challenge (ChaBooCha) in March of 2012, with the goal of helping myself and others learn more about writing chapter books for children and to give us all that extra push to write the stories. The challenge is to write a complete first draft of a chapter book, middle grade book or YA novel from March 1st through March 31st. This March will be its third year running and the group has continued to grow. I’m also hosting a new writing challenge in April this year, Blog Your Book in 30 Days. This challenge is mostly to get me working on my non-fiction book idea, but it will work for fiction books too. The challenge will give me the drive I need to write a chapter a day during April. 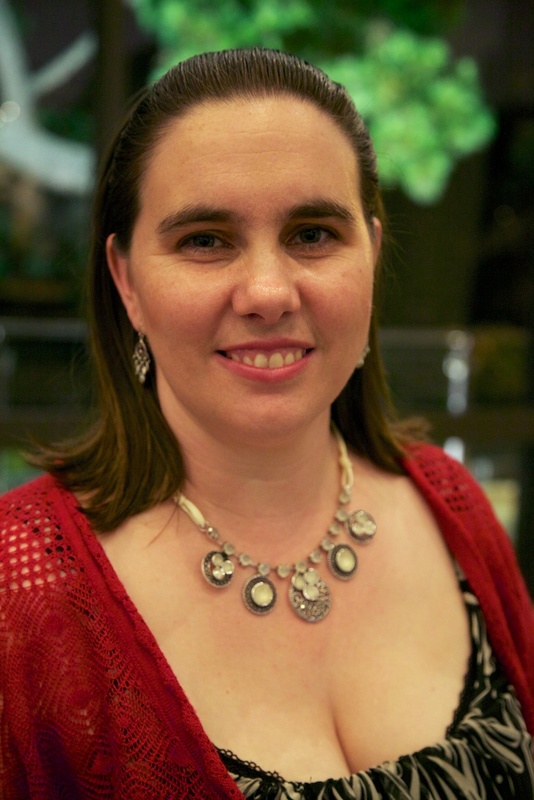 I am a member of the 12×12 picture book writing challenge, hosted by Julie Hedlund. The challenge keeps me writing a new picture book every month. I find challenges very helpful in motivating me to stop procrastinating and to sit and write. Yep that’s why I joined the Chapter Book Challenge – love to actually get something done. The anthologies that I have stories in, published by Melusine Muse Press, are “Teapot Tales: A Collection of Unique Fairy Tales,” “Jingle Bells: Tales of Holiday Spirit from Around the World” and “SuperHERo Tales: A Collection of Female Superhero Stories.” I also have a couple of doodle colouring books out called “Doodle Your Heart Out” and “Little Book of Doodles.” There are other anthologies with my stories in them as well: “Once Upon a Time: A Collection of Unexpected Fairy Tales,” “The Dark Fairy Queen’s Writerly Bridal Shower,” “Tales By the Tree: An Anthology of Holiday Flash Fiction” and “Charms: Volume 2.” The anthology “Keepsakes” will be out sometime later this year. My girls love the Doodle Your Heart Out Book! I have several on-line blogs, but the main ones are Skinny Dreaming, Imagine! Create! 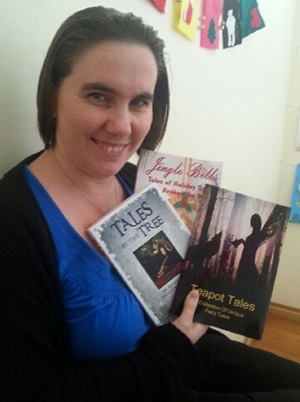 Write!, Chapter Book Challenge, Rebecca Fyfe Writes, Fairy Magic Gifts and, now, Blog Your Book in 30 Days. I try not to read reviews, but I would really like to get some more reviews posted for the anthologies. I write freely. I keep planning to outline, but, other than a general directional idea in my head, I usually write without one. The exception to this rule is for my non-fiction books. For non-fiction, I tend to write in my chapter headings ahead of time, which is a form of an outline. Writing freely is great, just can be hard to come back to it later. If only I had the time to finish something in one hit. For other authors who may be struggling what advice can you give on handling rejection? My best advice is to never give up. Stop listening to that critical inner voice that we all have and continue to write. Every author has fears and doubts about their writing, even the ones who have already written best-sellers. If we all let our fears or doubts keep us from writing, then there would be no books and no new worlds of our creation for readers to lose themselves in. Excellent advice. Thanks for joining us Becky. It was wonderful to get to know you more. So many more great interviews, reviews and news coming up here on Stitch Says. Keep reading, keep writing! Lots more exciting interviews and reviews to come – keep reading, keep writing! 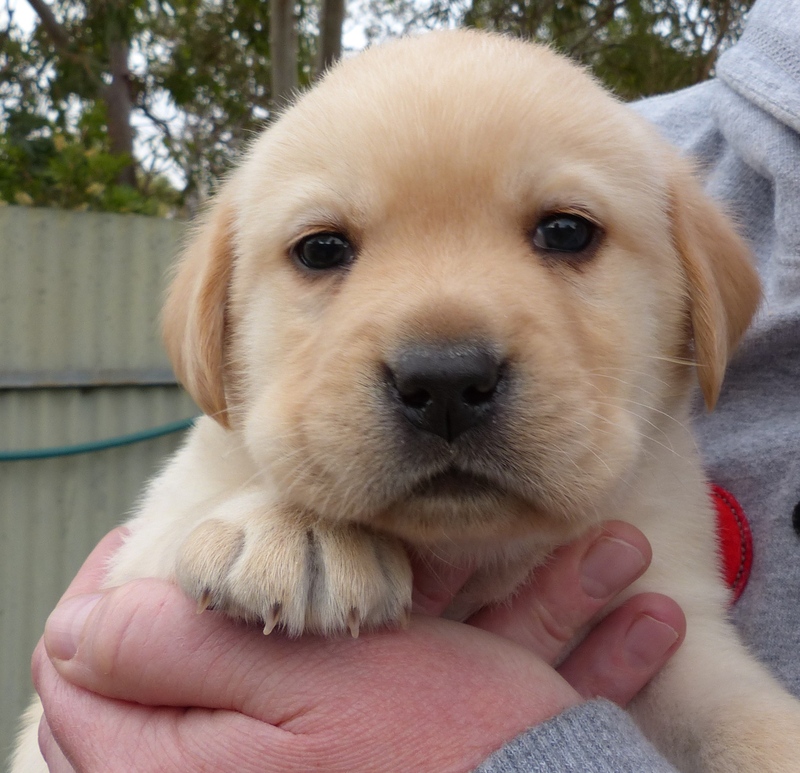 Ashley Howland grew up in Adelaide, South Australia, where she now lives with her husband, Ross, their daughters, Maddy and Aijay, and her faithful Labradors Stitch and Chewie. 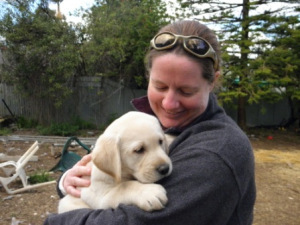 Ashley loves to write with and for young people, the dogs (including Obi) often provide the material.